Are you willing to make money? If yes, then you at the perfect place. 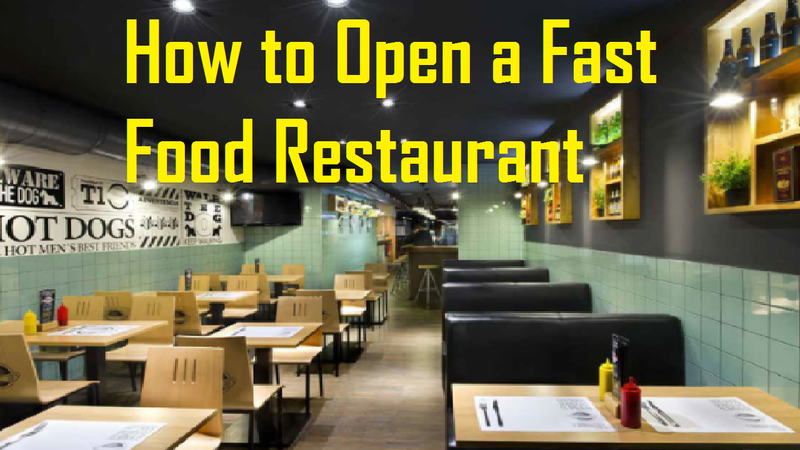 Today I will share with how to open your own fast food restaurant. Fast food today is most eaten around the world. No matter how health conscious people are they cannot resist fast food. Managing a fast food business is more like managing a small restaurant. Anyway, let us get down to work! The first thing that you need to take into consideration is the location. If you put up your restaurant in a place where there is a lot of traffic hustling you might get yourself into huge losses ahead. What you can do is you could open your restaurant near a school, university or college. After the students are done with classes they can come and get some snacks at your restaurant. You need a plan to start up your business. Without a plan, your business will fall apart. You need to take in consideration about stuff like business licenses and operating permits required by your city, state or country. Estimate the costs, project revenue determines your target market. And conduct feasibility research about start-up and operating costs. You will need a lot of equipment to start up your business. Types of equipment including ovens, fryers, stoves, refrigerator booth, table seating cash register, and fixtures. Decorate your restaurant with attractive lights and decorate the walls with funky posters and stuff. Get hold of reputable food and beverage vendors. Hire and train staff who are mostly youngsters. The ones who are in their college or university. This is so because they will be wanting work part time, so this way you can pay them a little less. They will be educated and well mannered. Keep your employees under three months probation period. You make funky t-shirts or shirts and make your employees wear them when they are working. What matters big time is the quality of your food. You do not want to see disappointed faces and hence keep your quality and taste better. Just because you named it fast food restaurant it is not necessary you keep only fast food items. You can also keep varieties of items like ice-cream, mocha, birthday cakes and etc. First of all, You need to promote and advertise your restaurant business. You can put ads in local newspapers or in radio. Make a strong relationship with social media. Make accounts on FaceBook, Twitter, and Instagram. Write the offers you are providing on your social media pages. You could even hire someone to reply texts you get there. If most of the orders are made through social media, only then. You could also organize a grand opening ceremony for your new restaurant. Put up banners inviting everyone at your opening ceremony. Therefore, Fast food restaurant today, is making a huge amount of money every other day. All you need is dedication and determination. Use healthy ingredients to make your food. Honesty is the key to success. You can’t fool your customers by providing them bad quality food. That way, you will be doing your own loss. So maintain your quality and stay focused.